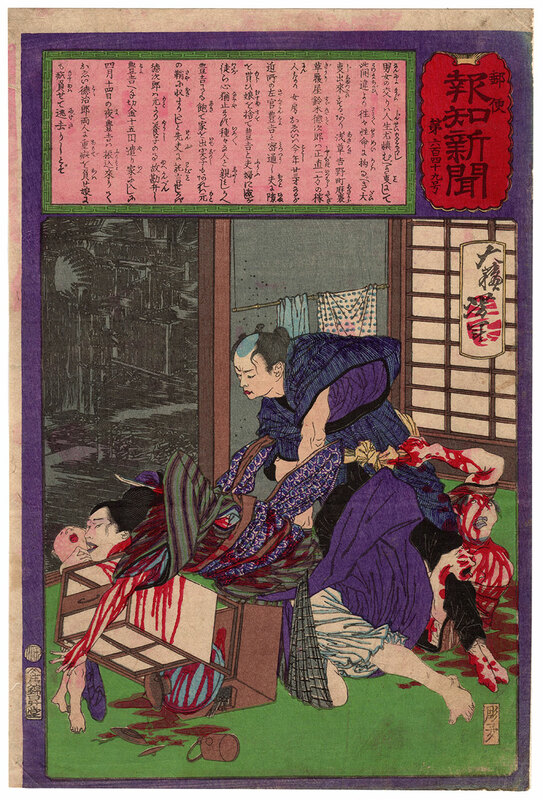 Important polychrome woodblock print of large vertical format, made by the artist Tsukioka Yoshitoshi (月岡芳年) and depicting a bloodcurdling episode of chronicle of the seventies of the nineteenth century. 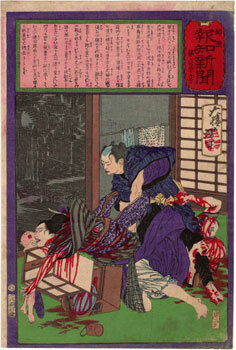 A man named Toyokichi (豊吉), profession plasterer (左官), exterminates a whole family after his mistress Oei (おゑい) decided to leave him and return to live with her husband and little son. 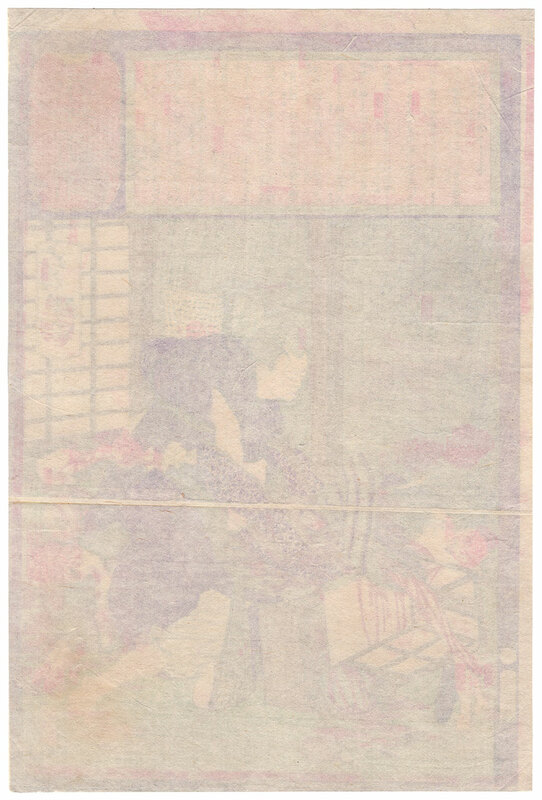 The print was made in 1875 for the number 649 (第六百四十九号) of the famous "Yubin Hochi Shinbun" (郵便報知新聞), literally the "post dispatch newspaper", founded in June 1873 in the wake of the great success obtained by the competitor "Tokyo Nichi Nichi Shinbun" (東京日々新聞) for which, instead, worked the great rival of Yoshitoshi, that is the artist Utagawa Yoshiiku (歌川芳幾). 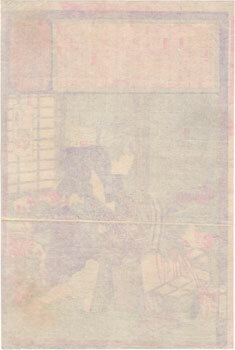 The work, printed by the publisher Ebisuya Shoshichi (恵比寿屋庄七), owner of the Kinshodo (錦昇堂), despite the right signs of the time is in good general condition, thanks also to a relining carried out on the back with another sheet of Japanese washi paper (和紙).